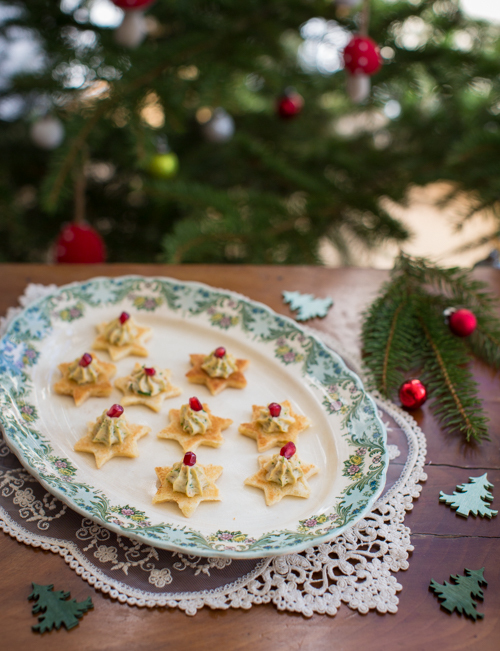 These festive canapés are super quick and easy to make. I chose to top my bread stars with smoked salmon paté, but you could use any kind of paté or paste, as long as it’s stiff enough to hold up. 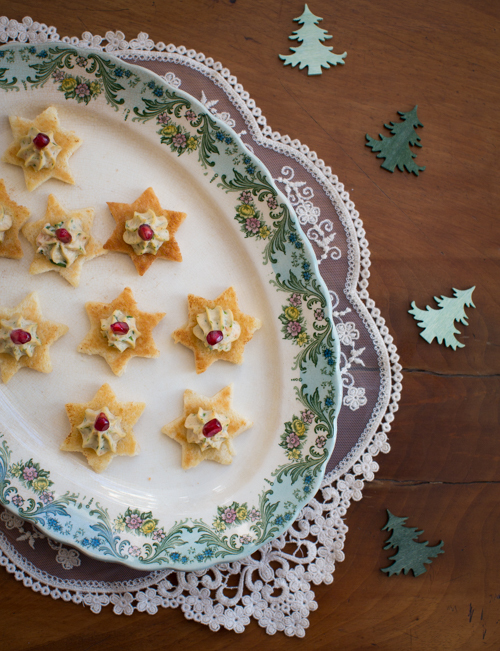 Top them with a little pomegranate seed, and you get the perfect party appetizer for Xmas or a NYE party. 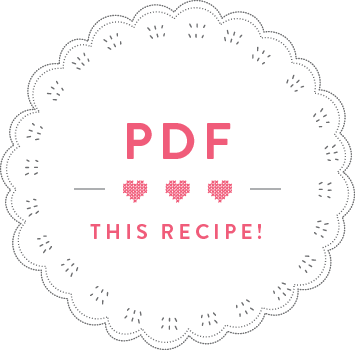 I prepared this recipe for RTL Mmm Magazine, you can watch me make it here. Put a sandwich bread slice onto a chopping board and flatten with a rolling pin. Using a star-shaped cookie cutter, cut out 2 stars from each flattened bread slice. Brush some melted on both sides of the stars and put on a baking tray. Bake the bread stars in the preheated oven for 10 minutes until golden. Put all the remaining ingredients into a blender and pulse until it has a smooth consistency. Fill the salmon pate into a piping bag fitted with a star-shaped nozzle and pipe little salmon pate mounts onto each bread star. 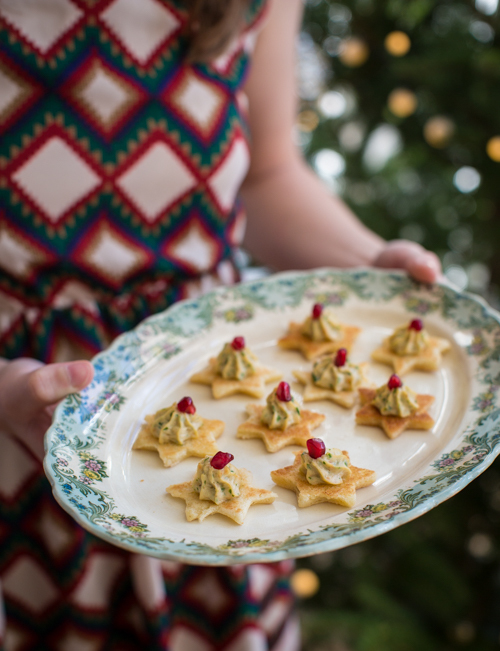 Decorate each canapé with a pomegranate seed and serve immediately.